Get match grade accuracy at affordable prices with these 124 grain soft point rounds from the Czech Republic’s premiere ammunition company, Sellier and Bellot. 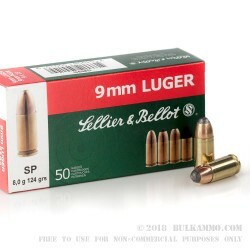 The 124 grain bullet weight is the standard weight for all NATO countries; Sellier and Bellot puts an interesting spin on this common load by using a soft point bullet. A soft point bullet has an exposed lead tip at the nose of the projectile. When driven to sufficient velocity, jacket soft point bullets will expand, which is why they’re popular for hunting in rifle and magnum pistol cartridges. 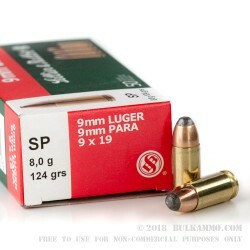 To make these 9mm rounds as effective as possible, Sellier and Bellot has loaded them to over 1100 feet per second, so they can be used for target shooting, competition, and while not recommended, could be pressed into service as a self defense load. With almost 200 years of manufacturing experience, Sellier and Bellot has an excellent reputation for quality. 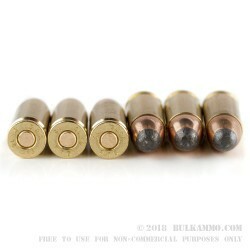 These 124 grain soft point 9mm rounds from Sellier and Bellot are loaded in new brass, with non-corrosive primers. 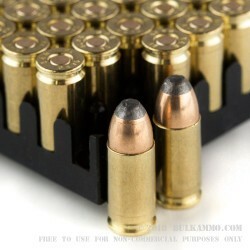 They come packaged in boxes of 50 rounds each.